Dianna Elise Agron is an American actress, singer, and dancer, who made her television debut as Jessica Grant on CSI: NY in 2006. He had recurring roles on “Veronica Mars” as Jenny Budosh, and in “Heroes” as Debbie Marshall. In 2009, Agron played Quinn Fabray on the Fox's critically acclaimed musical comedy-drama series "Glee." She has appeared in various films such as "The Hunters", "I Am Number Four", "The Family," "Zipper," and "Bare." Dianna Elise Agron was born on April 30, 1986, in Savannah, Georgia and was raised in San Antonio, Texas and San Francisco, California. 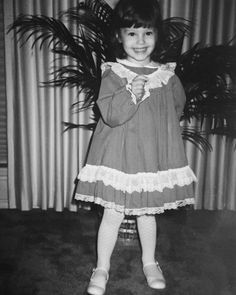 Argon is the daughter of Ronald S. Agron, who was a general manager of Hyatt hotel and Mary Agron, a homemaker. Due to her father’s career, Agron and her family lived in different hotels growing up. Her father was born to a Jewish family, as a matter of fact, her mother would later convert to Judaism. Argon has a younger brother, Jason. Agron attended Burlingame Intermediate School and Burlingame High School, where she was in the Homecoming Court and was involved in set design, costumes, and painting. Agron has been dancing since the age of three, mainly in jazz and ballet, and later began hip-hop dance. Agron often used to perform in local and school production. Agron appeared in the television series such as in “Shark”, “Close to Home”, “CSI: NY”, “Numb3rs”, and “Veronica Mars”. She appeared in a 13-episode series of short films, "It’s a Mall World” directed by Milo Ventimiglia. Agron’s most notable role was as Quinn Fabray, a high school cheerleader, in the Fox comedy-drama series Glee. On July 23, 2012, it was reported that Agron was going to appear less in Glee’s fourth season, so Agron appeared on three episodes: “Thanksgiving”, “Naked”, and “I Do”. Agron appeared as the main cast member in two episodes, "Homecoming" and "Jagged Little Tapestry", and made a cameo in the series finale "Dreams Come True". In 2007, Agron appeared in the action-thriller film T.K.O, which was directed by Declan Mulvey. She also appeared in the short comedy movie film "Dinner with Raphel" which was directed by Joey Boukadakis and this film was premiered at the 2009 Vail Film Festival. Argon auditioned for the role of Gwen Stacy in the reboot of the Spider-Man films, "The Amazing Spiderman" in 2010, but lost out on the role to Emma Stone. In 2011, Agron appeared in the horror movie "The Hunters" as Alice and in the science-fiction action thriller "I Am Number Four" as Sarah Hart. In 2015, Agron appeared as Dalia in the political thriller "Zipper", the intern of a lawyer who is running for office. Zipper premiered at the Sundance Film Festival on January 27, 2015, and was released on August 28, 2015, in a limited release and through video on demand. Agron has performed several songs as Quinn Fabray on Glee which has been released as singles, available for digital download, also featured on the show's soundtrack albums. At the end of the episode "Showmance", performing Dionne Warwick's "I Say a Little Prayer", which made her musical debut. In season three, Agron sang her first solo song "Never Can Say Goodbye" by The Jackson 5, which received mostly positive reviews. In 2011 when Agron was asked whether she is interested in a solo album, she said that she is more focused on acting. But later in December 2013, she said it is not possible. In July 2015, Agron performed The Star-Spangled Banner for the 239th Anniversary of Independence at the Winfield House in London. Agron and her Glee co-star Lea Michele rented an apartment together in Los Angeles in early 2009. Reportedly, Agron was engaged to actor Alex Pettyfer in 2011, which is unconfirmed. 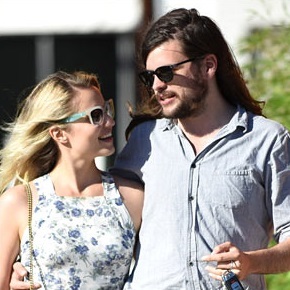 In late 2015, Dianna Agron became engaged to Winston Marshall, a musician from the band Mumford and Sons. They married on October 15, 2016, in a romantic private ceremony in Morocco. Prior to this, Agron has been linked to Thomas Cocquerel while Marshall once dated singer, Katy Perry. Agron did nose surgery twice to repair her deviated septum; once the result of a blow to the nose when she was fourteen in a party, and once in an accident while on tour for Glee. As of 2017, Dianna Agron's net worth is estimated to be $4.5 Million US dollar with an annual salary of $484,848 US dollar. In the movie "Burlesque", her salary was $173,913. Currently, Agron owns a phantom black Audi car and has a house in San Francisco, California, United states, which cost $1.59 million US dollars.